Defenders of the Realm got a lot of ink here on the site - at least 9, including a Monty Python expansion designed by Grudunza, not to mention the infamous "Comic Sans Thread" in Trash Talk. 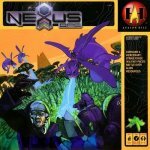 What did you think about it when it was first released? So what do you think about it now? Do you love it or hate it? Do you still play it? 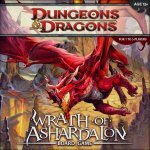 Flashback Friday - Wrath of Ashardalon - Love it or Hate It? Do you Still Play It? Flashback Friday - Pick-Omino - Love it or Hate It? Do you Still Play It? 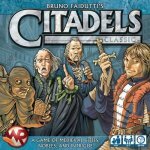 Flashback Friday - Citadels - Love it or Hate It? Do you Still Play It? Go to new cities, learn their locations, and mispronounce their names. Flashback Friday - Lords of Waterdeep - Love it or Hate It? Do you Still Play It? Lords of Waterdeep was declared the most divisive game of 2012 here on the site. 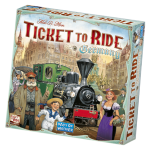 It could also have been called the most written about and discussed game. 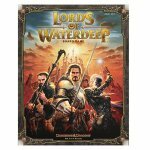 All the articles we have on it are listed towards the bottom of it's page in our directory here: Lords of Waterdeep So what do you think? Do you love it or hate it? Do you still play it?